How to Be Single claimed third place with $1.08 million yesterday, giving the Warner Bros. rom-com a six-day haul of $22.4 million -- a solid total for the date night flick. Last week's remaining new release, Zoolander 2, grabbed $0.68 million in fourth place on Wednesday. With a six-day tally of $17.55 million, the sequel is unfortunately falling short of pre-release expectations. Meanwhile, Star Wars: The Force Awakens fended off The Revenant for fifth place yesterday. The former now stands at an all-time domestic record total of $917.3 million, while the latter 12-time Oscar nominee has taken in an excellent $160.9 million to date. Fox's Deadpool grossed $11.56 million on Tuesday to dominate the daily box office for a fifth consecutive day. The blockbuster Ryan Reynolds led antihero film declined 41 percent from Monday's inflated Presidents Day performance. Deadpool has grossed a massive $163.75 million in its first five days of release. The film has demolished pre-release expectations and has set a new benchmark for the X-Men Universe in the process. Deadpool is running 26 percent ahead of the $130.15 million five-day start of 2006's X-Men: The Last Stand and 38 percent ahead of the $118.78 million five-day take of 2014's X-Men: Days of Future Past. The comparison to Days of Future Past is especially impressive given that Deadpool doesn't have the added advantage of higher priced 3D admissions and opened in 438 fewer locations. Deadpool will obviously have no problem remaining in first place at the box office this coming weekend. Fellow Fox release Kung Fu Panda 3 held steady in a distant second with $1.95 million. The 3D computer animated sequel from DreamWorks Animation fell 68 percent from Monday's holiday performance and was up a strong 33 percent over last Tuesday. Kung Fu Panda 3 has stabilized nicely this week and has now grossed $102.13 million through 19 days. That places the film 16 percent behind the $122.10 million 19-day gross of last year's Hotel Transylvania 2. Kung Fu Panda 3 is likely to hold up well throughout the rest of February, thanks in part to no new family films entering the marketplace until the arrival of Disney's Zootopia on March 4. Warner's How to Be Single was up one spot from Monday to move back into third place with $1.44 million. The romantic comedy from New Line and MGM featuring Dakota Johnson declined 29 percent from Monday, which represented the day's strongest daily percentage hold among wide releases. How to Be Single has grossed $21.35 million in five days. The film is running in line with pre-release expectations and 13 percent stronger than the $18.86 million five-day start of 2009's Confessions of a Shopaholic. Zoolander 2 was down one spot from Monday to return to fourth on Tuesday with $0.988 million. Paramount's PG-13 rated comedy sequel starring Ben Stiller and Owen Wilson was down 52 percent from Monday. Zoolander 2 is performing below expectations with a lackluster $16.87 million. The five-day start for Zoolander 2 is a disappointing 2.5 percent softer than the $17.30 million five-day take of 2001's Zoolander and that's without taking into account 15 years of ticket price inflation. Disney's Star Wars: The Force Awakens, Fox's The Revenant and Universal's Hail, Caesar! were fairly bunched together in places fifth through seventh on Tuesday. The Force Awakens fell 61 percent from Monday to gross $0.575 million, The Revenant declined 47 percent to gross $0.562 million and Hail, Caesar! was down 45 percent to claim $0.541 million. Respective total grosses stand at $916.86 million for The Force Awakens, at $160.41 million for The Revenant and at $22.68 million for Hail, Caesar! LOS ANGELES (February 17, 2016) - Fandango, the nation's leading digital platform serving consumers across the entire movie lifecycle, announced today it has signed an agreement to acquire Flixster and Rotten Tomatoes, which includes the world famous professional movie critic rating tool, the TomatometerTM, from Warner Bros. Entertainment. The addition of Flixster and Rotten Tomatoes, along with Fandango's recent acquisition of on-demand video service, M-GO, will expand the company's theatrical ticketing business and create the industry's premier digital network for all things movies. Flixster and Rotten Tomatoes, which reach 20 million unique visitors per month, will remain consumer-facing brands. With this acquisition, Fandango's combined audience reach will grow to more than 63 million* unique visitors per month and offer consumers the most comprehensive resource for movie information, theatrical ticketing, video content for movie discovery, and home entertainment. As part of the deal, Warner Bros. Entertainment will take a minority ownership stake in Fandango and serve as an ongoing strategic partner. Fandango will continue to operate as a unit of NBCUniversal. "Flixster and Rotten Tomatoes are invaluable resources for movie fans, and we look forward to growing these successful properties, driving more theatrical ticketing and super-serving consumers with all their movie needs," said Fandango President Paul Yanover. "Our new expanded network will offer unparalleled capabilities for all of our exhibition, studio and promotional partners to reach a massive entertainment audience with innovative marketing and ticketing solutions that benefit from original content, home entertainment products, ‘super tickets,' gifts with purchase, and other new promotional opportunities," he added. Known as a highly trusted measurement of quality, Rotten Tomatoes is the most popular online aggregator of theatrical and in-home movie and TV reviews from professional critics and fans. Rotten Tomatoes offers the most complete guide to what's fresh, through its TomatometerTM rating, which represents the percentage of positive professional reviews for a given film or television show. Flixster is a leading website and mobile app for discovering movies, with more than 50 million app installs. Consumers can find valuable movie information and check out audience and critic ratings and reviews, courtesy of the Tomatometer. Fandango will be extending its ticketing capabilities to the Flixster app in the coming months. Together, Flixster and Fandango's mobile app downloads total more than 100 million. 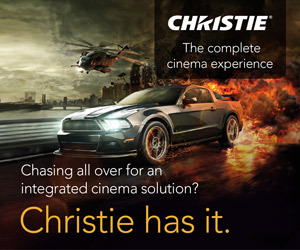 "Combining the expertise and assets of Fandango, Flixster and Rotten Tomatoes will create an incredible resource for consumers to fulfill all their moviegoing needs," said Thomas Gewecke, Chief Digital Officer and Executive Vice President, Strategy and Business Development, Warner Bros. "Bringing these properties together into a single, integrated portfolio creates an opportunity to truly accelerate innovation in movie discovery and ticketing, making moviegoing an even more compelling experience." Flixster Video, the home entertainment and digital video redemption service, is not included in the transaction, but is expected to transition its users to Fandango's new video on-demand service later this year, and will sunset thereafter. In January, Fandango acquired M-GO, a leading digital distributor of new release and catalog movies to a wide variety of connected, over-the-top (OTT) and mobile devices including Android, iOS, Samsung, LG, Roku, and others. With M-GO, Fandango plans to work with exhibitors and studios to build streamlined solutions for "super tickets" and other theatrical ticketing and home entertainment products. M-GO will be rebranded later this year and become part of Fandango's digital network. Fandango had a record-breaking year in 2015, with 81% growth in U.S. ticketing and for the first time in a single year, Fandango received more than 1 billion visits. Fandango Movieclips added 4 million new subscribers to its network of nearly 13 million, and generated a total of 4.5 billion video views, a 54% increase year-over-year. Fandango also made its first move internationally into Latin America, acquiring Brazil's largest online ticketer, Ingresso.com, in November 2015. Brazil has a leading moviegoing population, accounting for 40% of Latin American box office in 2014, according to Rentrak. The country represents the largest market in South America and the world's 11th largest theatrical market, according to the Motion Picture Association of America. The MPAA predicts that Brazil will constitute the world's fifth largest market by the end of 2020. *Fandango and Flixster's combined non-duplicated audience, according to comScore December 2015. Fandango, a unit of NBCUniversal, is the nation's leading digital destination for all things movies, reaching over 49 million unique visitors per month, according to comScore, and selling tickets to more than 27,000 screens nationwide. 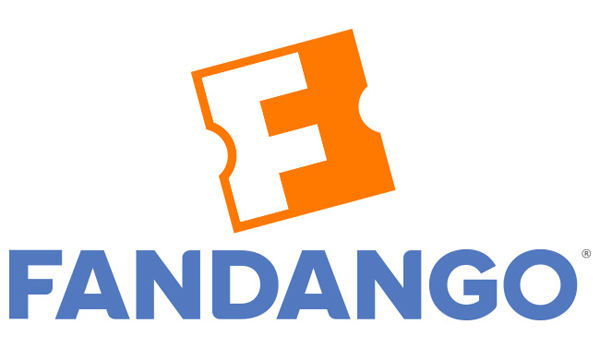 Fandango provides consumers with movie information, original content and the ability to buy tickets in advance, by printing tickets at home or as mobile tickets on their smartphones. Fandango's award-winning mobile app has garnered more than 51 million downloads and is available on Apple's iOS devices and Google's Android platform. The company operates Fandango Movieclips, the No. 1 movie trailers and movie-related content channel on YouTube, a dedicated website (http://www.movieclips.com) and mobile app for iOS and Android. Fandango powers movie trailer and video channels on Samsung devices, Hulu, AOL, Facebook Notify and Watchable. It also provides ticketing to IMDb, Yahoo! Movies, Moviefone, MSN and others. Movie fans can find Fandango on Facebook at www.facebook.com/fandango and on Twitter @Fandango. Warner Bros. Entertainment is a global leader in all forms of entertainment and their related businesses across all current and emerging media and platforms. A Time Warner Company, the fully integrated Studio is home to one of the most successful collections of brands in the world and stands at the forefront of every aspect of the entertainment industry from feature film, television and home entertainment production and worldwide distribution to DVD and Blu-ray, digital distribution, animation, comic books, video games, product and brand licensing, and broadcasting. 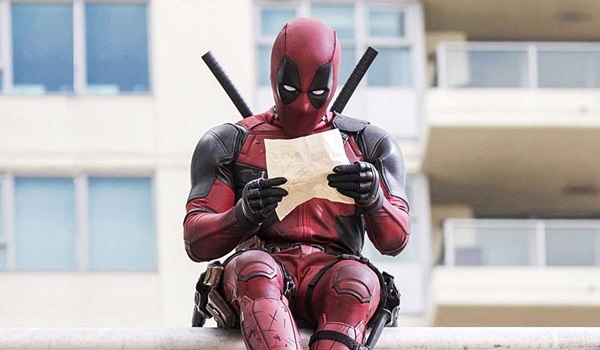 Fox's Deadpool exploded this weekend with a four-day debut of $152.19 million. The Ryan Reynolds led antihero film destroyed expectations and the previous four-day Presidents Day weekend record of $93.01 million set last year by Fifty Shades of Grey. Deadpool also set a new benchmark for the X-Men universe, as the film opened 24 percent stronger than the $122.86 million four-day launch of 2006's X-Men: The Last Stand and 38 percent stronger than the $110.58 million four-day start of 2014's X-Men: Days of Future Past. The comparison to Days of Future Past is especially impressive given that Deadpool didn't have the added advantage of higher priced 3D admissions and opened in 438 fewer locations. Deadpool took in $132.43 million over the three-day frame. That represents the 17th largest opening weekend performance of all-time without taking into account ticket price inflation. Deadpool demolished the previous all-time R-rated and February three-day opening weekend records, as the film opened 44 percent ahead of the $91.77 million 2003 debut of previous R-rated record holder The Matrix Reloaded and 55.5 percent ahead of the $85.17 million take of previous February record holder Fifty Shades of Grey. Deadpool also claimed the fifth largest three-day debut ever for a Marvel adaptation (behind only 2012's Marvel's The Avengers, last year's Avengers: Age of Ultron, 2013's Iron Man 3 and 2007's Spider-Man 3) and the seventh largest three-day debut ever for a comic book adaption of any kind (behind only 2012's The Dark Knight Rises and 2008's The Dark Knight in addition to the four mentioned Marvel films). Thanks to a marketing campaign that went over amazingly well with moviegoers, Deadpool had generated strong online activity for months. But the film ultimately performed far stronger than its online strength had suggested. In addition to the film's marketing striking the perfect chord, Deadpool was also helped by the popularity of the character among comic book fans, good critical reviews and Valentine's Day falling on Sunday. Deadpool opened with $47.34 million on Friday (which included an estimated $12.7 million from Thursday night shows), dipped just 10 percent on Saturday to take in $42.51 million and was essentially unchanged on Valentine's Day Sunday to gross $42.59 million. That placed the film's opening weekend to Friday ratio at 2.80 to 1, which is very encouraging for a high-profile comic book adaptation (even with Valentine's Day in mind). Deadpool fell 54 percent on Monday to gross $19.76 million. Deadpool received a strong A rating on CinemaScore and currently boasts a terrific 95 percent audience score on Flixster. With strong word of mouth, it's very possible that Deadpool will have stronger than expected holding power as well, on top of its already explosive debut. Fellow Fox release Kung Fu Panda 3 placed in a distant second with a four-day take of $25.91 million. The 3D computer animated sequel from DreamWorks Animation was up an impressive 22 percent over last weekend's three-day frame. Kung Fu Panda 3 was helped out this weekend by no new family films entering the marketplace, by the four-day holiday frame and by Super Bowl 50 having deflated last weekend's grosses in general. Kung Fu Panda 3 has grossed $100.18 million in 18 days. That places the film 17 percent behind the $120.75 million 18-day gross of last year's Hotel Transylvania 2. Kung Fu Panda 3 is likely to hold up well throughout the rest of February, thanks in part to no new family films entering the marketplace until the arrival of Disney's Zootopia on March 4. Kung Fu Panda 3 took in $19.76 million over the three-day frame. Warner's How to Be Single debuted in third place with a four-day start of $19.90 million. The romantic comedy from New Line and MGM featuring Dakota Johnson opened in line with pre-release expectations. How to Be Single benefited from Valentine's Day falling on Sunday and from ultimately representing a better alternative choice to Deadpool than Zoolander 2 did. The four-day launch of How to Be Single was 12 percent stronger than the $17.81 million four-day start of 2009's Confessions of a Shopaholic. How to Be Single opened with $5.25 million on Friday (which included an estimated $700,000 from Thursday night shows), increased 14 percent on Saturday to gross $5.97 million, was up 12 percent on Sunday to take in $6.66 million and declined 70 percent on Monday to gross $2.03 million. How to Be Single received a respectable B rating on CinemaScore and currently has a 62 percent audience score on Flixster. The film took in $17.88 million over the three-day weekend. Meanwhile, Paramount's Zoolander 2 had to settle for a fourth place four-day take of just $15.88 million. The PG-13 rated comedy sequel starring Ben Stiller and Owen Wilson opened well below expectations, which had tended to be in the range of $20 million to $25 million. While Zoolander 2 had generated strong online activity levels before its release, that online activity and the film's cult following failed to transfer over to the box office this weekend. Obviously, the break-out performance of Deadpool also significantly limited the potential of Zoolander 2 this weekend. Without taking into account 15 years of ticket price inflation, the four-day start for Zoolander 2 was a disappointing 3 percent below the $16.41 million four-day gross of 2001's Zoolander. Zoolander 2 opened with $4.17 million on Friday (which included an estimated $750,000 from Thursday night shows), increased 11 percent on Saturday to gross $4.62 million, was up 9 percent on Sunday to gross $5.05 million and fell 60 percent on Monday to gross $2.04 million. The film received a soft C+ rating on CinemaScore and currently has an audience score of just 34 percent on Flixster. Neither is a good sign for Zoolander 2 going forward. Zoolander 2 grossed $13.84 million over the three-day frame. Disney's Star Wars: The Force Awakens and Fox's The Revenant claimed fifth and sixth place with respective four-day takes of $7.64 million and $7.58 million. Both films held up very nicely over the holiday frame, as The Force Awakens was up 10 percent over last weekend, while The Revenant was up a similar 9 percent. Respective total grosses stand at $916.29 million for Star Wars: The Force Awakens and at $159.85 million for The Revenant. Universal's Hail, Caesar! and Lionsgate's The Choice took seventh and eighth place with respective four-day grosses of $7.37 million and $5.82 million. Hail, Caesar! was down a troubling 35 percent from last weekend's three-day debut, while The Choice was down just 4 percent thanks in part to its Valentine's Day appeal. Respective eleven-day grosses stand at $22.14 million for Hail, Caesar! and at $13.83 million for The Choice. Drafthouse Films' Where to Invade Next arrived in theatres this weekend with an estimated $933,240 from 308 locations over the three-day frame. That gave the Michael Moore directed documentary a modest per-location average of $3,030. 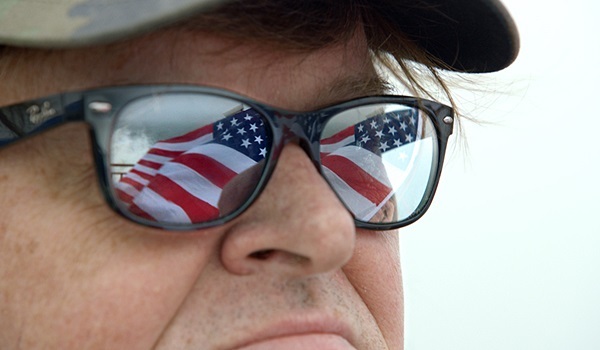 While Where to Invade Next had one of the weekend's more noteworthy platform performances (during a slow overall frame for films in limited release), the film didn't reach the box office heights of previous Michael Moore films, such as the $4.50 million grossed by 2007's Sicko in 441 locations and the $4.45 million grossed by 2009's Capitalism: A Love Story in 962 locations. Where to Invade Next has received solid critical reviews, as it currently has a 75 percent Tomatometer on Rotten Tomatoes. With the addition of earlier preview grosses, Where to Invade Next has grossed $1.03 million to date. Sony Pictures Classics' The Lady in the Van continued its solid platform run with an estimated three-day take of $548,604 from 130 locations, for a per-location average of $4,220. The Nicholas Hytner directed film starring Maggie Smith was up a healthy 55 percent over last weekend (when it was playing in 48 fewer locations). The Lady in the Van has grossed a promising $1.97 million in 31 days (and an additional one-week Oscar qualifying run back in early December). Best Picture nominees The Big Short and Brooklyn both continued to have a box office presence with respective estimated three-day grosses of $1.37 million and $1.12 million. Paramount's The Big Short was down 20 percent from last weekend, while Fox Searchlight's Brooklyn declined by just 5 percent. Respective total grosses stand at $65.70 million for The Big Short in 66 days and at $34.08 million for Brooklyn in 101 days. Estimated three-day grosses for other Best Picture nominees included $750,665 for Open Road's Spotlight from 455 locations and $412,000 for A24's Room from 316 locations. Spotlight was down 10 percent from last weekend (when it was playing in 213 more locations) and has grossed $37.26 million in 101 days. Room fell a sizable 44 percent from last weekend (when it was in an additional 315 locations) and has grossed $11.96 million in 122 days. 45 Years took in an estimated $486,000 over the three-day weekend from 237 locations, for a per-location average of $2,051. Upon expanding into an additional 83 locations the critically acclaimed drama from IFC Films' Sundance Selects division, starring Charlotte Rampling and Tom Courtenay was only up 2 percent from last weekend. The 54-day platform total for 45 Years stands at $2.71 million.